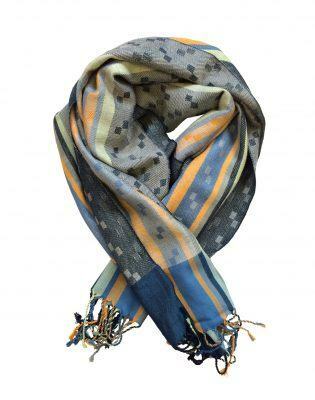 Fine hand woven scarves and art-led pieces. As a hand weaver my business is all about the process of weaving. My inspiration comes from a variety of sources; travels abroad, plant forms, textures and patterns found in buildings or landscapes. Charlotte works on a 24 shaft dobbie loom. As a hand weaver her business is all about the process of weaving, constructing fabrics and art-led pieces from a wide range of traditional yarns such as silk, linen and merino, to less traditional materials such as wire, nylon and horsehair. High twist yarns hold a particular fascination as they contain an energy in the fact that they are over twisted. When the fabric is woven and washed this energy locked into the twist is released and the overall fabric will shrink, more or less depending on how it is woven. In a scarf this energy causes the fabric to pleat and crinkle. 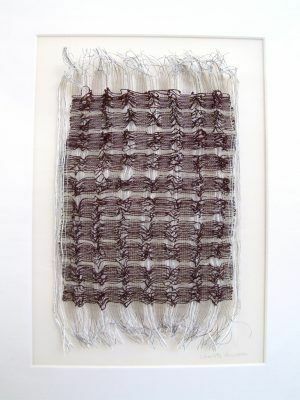 In art-led work it can be combined with wire and nylon to create 3-dimensional pieces. 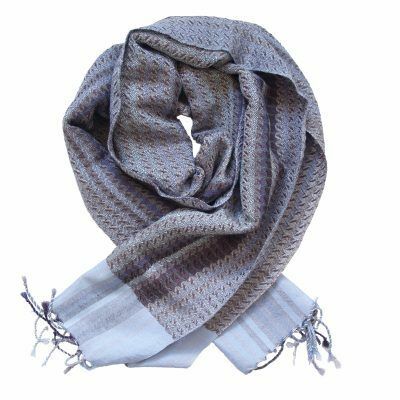 Charlotte produces wall hangings, ranges of handwoven scarves and also works with a mill in the UK to produce a range of small scale manufactured scarves. Charlotte’s art-led works explores a range of non traditional material to weave with to create 3 dimensional sculptural forms with weaving. 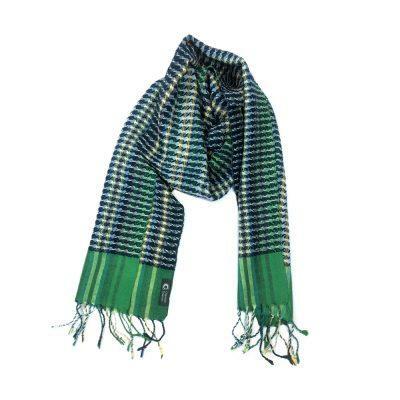 Hand woven scarves in a range of fine materials including silk and wools. 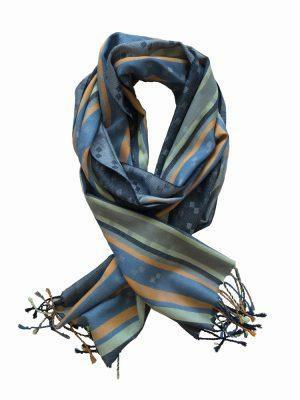 Charlotte also designs a range of scarves that are woven by a mill in the UK.